Courtesy of Hayden Outdoors – Windsor, Zack Wiese. Beautiful mountain retreat located in highly sought after N Rim community, 50 min to Fort Collins, with gated access to private National Forest. Home offers over 3,400 sf of living space with granite countertops, 5 piece master and large deck. Views of the valley floor below are incredible where you can watch plenty of wildlife, including moose, elk and mule deer. A small section of Elkhorn Creek runs through the property. Private 4 wheeling and hiking trails can be accessed from the property. 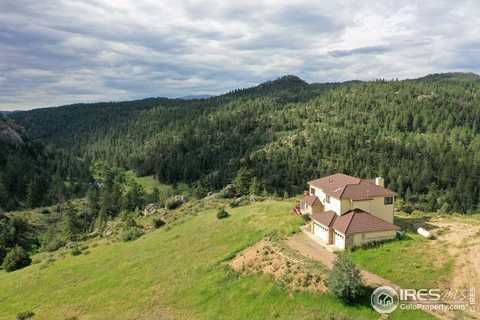 Please, send me more information on this property: MLS# 864883 – $725,000 – 366 N Rim Rd, Livermore, CO 80536. I would like to schedule a showing appointment for this property: MLS# 864883 – $725,000 – 366 N Rim Rd, Livermore, CO 80536.